Listen to what riders had to say about their first trips on Detroit's QLINE, which opened on May 12, 2017 and is using a fleet of six BROOKVILLE Liberty Streetcars. Whether you're looking for a product to serve your operational needs in mining, tunneling, freight rail, or passenger transport, looking to explore career opportunities in rail vehicle manufacturing, or simply seeking more information about what BROOKVILLE offers to the many markets we serve, these videos will help you discover what we do every day through the eyes of our dedicated team. For over 95 years, Brookville Equipment Corporation has been dedicated to developing and manufacturing rail-mounted haulage equipment to support a diverse range of industries. Discover our legacy of improving efficiency, safety, and environment for our customers in mining, tunneling, rail freight, and public transit markets. Whether for underground mining, freight rail, or passenger transport, BROOKVILLE's products are designed to help you deliver people and materials to their daily destinations. Learn more about our growing product line and discover how we can help you meet your daily operational needs. BROOKVILLE is eagerly seeking experienced individuals eager to aid in supporting our customers. 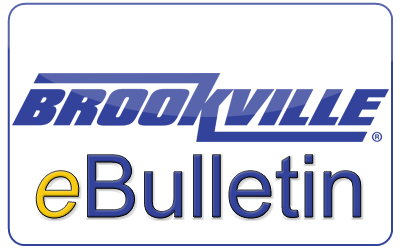 Learn more about what a career opportunity at BROOKVILLE can offer you, as we continue to expand our evolving product portfolio. Discover the features and amenities offered by BROOKVILLE's award-winning Liberty Modern Streetcar, designed and manufactured in the USA.